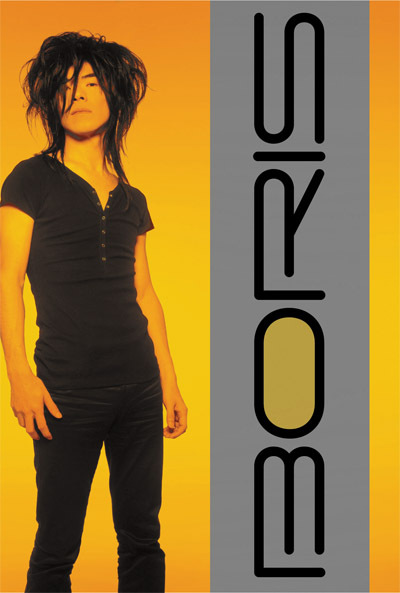 SLUG: For the uninitiated here in Salt Lake City, can you tell us how, when and why Boris formed? 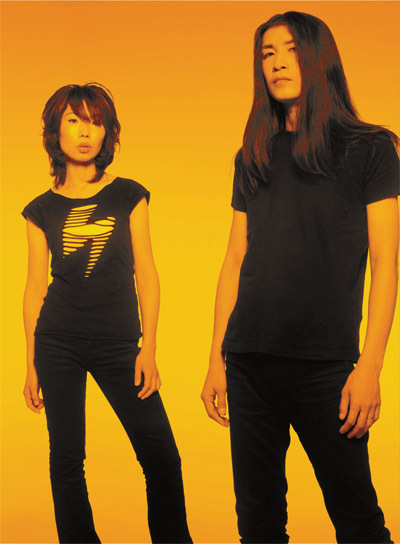 Atsuo: We formed a band for a friend of ours around '93 or '94 ... I can't actually remember the exact year; I have such a terrible memory. He quit after awhile, but the rest of us found that we had become completely absorbed in the writing process, which pretty much brings us up to the present. It really just started out as just play... I guess even that hasn't really changed much. SLUG: You've played several shows through the United States ... why has it taken so long to get Boris to come to Salt Lake City? Atsuo: Well, our tours are booked by an agent. We try to take a balanced approach to deciding our schedule in terms of towns and venues, and we have never requested SLC to be taken off our tour schedule, so I think that, until now, the timing just hasn't worked out. SLUG: Boris is quite prolific with the sheer amount of music you have written and released. Do you enjoy writing and recording more than touring and playing live? Atsuo: We are really interested in both for completely different reasons, so I can't really compare them. They really complement each other, and are both really important to us. Touring is much more mentally and physically rigorous, but when we can see the faces of the audience it really makes us forget that we are tired. SLUG: How do you approach the writing process ... specifically, what inspires you to write music, and what was the inspiration for your most current release, Smile? Atsuo: Usually we record our jam sessions and then gradually form that into songs. Sometimes a word or a phrase will give us an image that we can expand on. Occasionally broken instruments have given us some great direction for a song. We get bored easily, so we are always trying out new methods in hopes of happening upon a new sound. For Smile we were really sick of 'cool' stuff; we really wanted to take the feeling of something vulgar, the kind of thing that you would normally want to look away from, and make that into our work. SLUG: : What are some current musicians or bands from Japan that you appreciate that might not have had much exposure here in the United States? Atsuo: Ai Aso, who collaborated on Smile with us, is a wonderful singer/ songwriter. She has two albums out and they are both great. SLUG: Is it difficult for Boris to play in different countries due to language barriers? Atsuo: We really don't have any problems anymore in English-speaking countries, but we do run into trouble where people don't speak English. I don't think it's really that bad of a thing not to be able to speak the same language as someone else. Most people find themselves coping by becoming more kind and considerate in such situations; the best kind of communication can only be born from situations where you can't rely on words to communicate. SLUG: What can the people here in Utah expect from a Boris live show? Atsuo: Hmm...I wonder the same thing. It varies wildly from place to place and it depends on the reaction of the audience. We want everyone to enjoy it with us. SLUG: Why release a Japanese version of an album and release a different version of the same album abroad? SLUG: Is there a specific reason you limit certain Boris releases? Atsuo: As the creators of this music, we get our pleasure from the hope that the people who buy our albums might be able to enjoy a rich experience from them. However, some works are made at a great cost to us, so naturally these works should be limited. Right now we don't feel especially bound in to the "category" of music, so we don't feel the need to match the prices of normal CDs and vinyl releases. SLUG: Is there anything else you would like to share with the folks in Salt Lake City? Atsuo: We did this interview through e-mail, but soon we will be in a place where we can see all your faces directly, so we hope that we can all have fun together on the night of the show. You may all think that you are coming to see us, but Boris has come to see you. We are excited to look out from the stage and see all your faces! Boris is playing with popdoomsters Torche at the Urban Lounge on July 26th ... you really should be there, if for no other reason that to let Boris get a look at all of your faces.